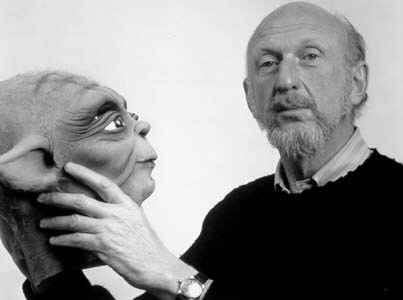 Today Unwinnable bids a fond farewell to filmmaker Irvin Kershner, who died today in Los Angeles at the age of 87. Mr. Kershner had a rich career directing films like Stakeout on Dope Street, The Eyes of Laura Mars (penned by John Carpenter) and Sean Connery’s last James Bond film, Never Say Never Again. However, he was best known as the director of the second Star Wars film, The Empire Strikes Back. The Empire Strikes Back’s subtlety resonated not just with me, but nearly every Star Wars fan I’ve met (I’ve met a lot). Considered by many fans as the best of the Star Wars Trilogy, it’s the movie that introduced three iconic Star Wars characters: Lando Calrissian, Yoda and Boba Fett. “There’s nothing more interesting than the landscape of the human face,” Mr. Kershner said on the film’s DVD commentary. Whether tackling teenagers caught up in a drug ring in Stakeout on Dope Street, examining the life of a traveling salesman in the ACE Award nominated Traveling Man or introducing us to mischievous Ugnaughts in The Empire Strikes Back, Mr. Kershner was a very personal filmmaker. George Lucas may have given us the far, far away galaxy that existed a long time ago, but you made us believe in it, Mr. Kershner. Rest in Peace.